Telemarketing List Provider: AccurateLeads.com - Mailing Lists | Marketing Lists | Telemarketing List Provider. 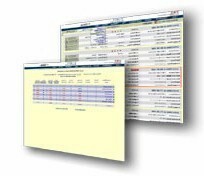 AccurateLeads.com provides marketing lead lists and is not affiliated with Database Systems Corp. PLEASE NOTE - DSC does NOT provide sales and marketing leads. About Database Systems Corp. (DSC) DSC provides call center technology and software. Our expertise is in the telecommunications and computer telephony arena. Our products include predictive dialers, IVR interactive voice response systems, ACD automatic call distribution, phone call recording and monitoring solutions, and voice message broadcasting systems. Our list management software can filter your customer and prospect database, searching for required contacts and new prospective business. Using our own powerful database tools, the phone list manager schedules calls based upon any user defined search criteria. Phone lists can be static or dynamic, meaning changes made to your information can have a real-time effect upon the criteria used to contact your customers. New criteria can be added instantly, allowing you to data mine your existing customer phone lists. The following organization provides marketing and sales lead lists. Information presented on this page was either provided by the company or found on the company's website. Database Systems Corp. does not endorse these services nor warrant the accuracy of this information. For current information, please visit the company's website listed below. For over 35 years our sales consultants have been providing mailing lists, telemarketing lists, and email lists to companies just like yours. Our hands on experience translates into thousands of case studies which ensure you the most complete list recommendation possible. Our fast service and competitive pricing will give you the edge you need to succeed. At Accurateleads.com our business list will provide you with over 19,000,000 locations and over 24,000,000 executives. This database is created from over 100 unique sources. The combined data represents over 75,000,000 business records which are merged, cleaned and passed against USPS software. In addition, over 20 million records are telephone verified to provide the most accurate business list available. Dirmark was established in 1985 but our history extends back to the mid-60's via the company's founder. Over the years Dirmark has grown into one of the leading providers of list and telemarketing information in the country. At Dirmark we are not order takers! Your account executive is a direct marketing consultant who understands that a successful DM campaign involves much more than a list. This philosophy has enabled Dirmark to grow into on of the country's leading providers of DM information. Hopefully you will consider Dirmark for your next list. Contact DSC to learn more about our products that process business and marketing lead lists using our call center technology. PLEASE NOTE - DSC does NOT provide sales and marketing leads.